A pedestrian was struck and killed in Molalla Tuesday morning. At approximately 9:22 a.m., a vehicle struck Joy Lynn Leavitt, 62, of Molalla, in the crosswalk on N. Molalla Avenue at Heintz Street in front of the fire department, per a press release from the Molalla Police Department. According to Molalla Police Chief Rod Lucich, the involved driver stayed at the scene and has been cooperating with the investigation. "This was not a hit-and-run," Lucich said. A Molalla resident drove near the scene at about 9:30 a.m., minutes after the incident, and saw the person lying in the street. She then witnessed emergency personnel rushing to the person's aid. "It's just haunting me, and I've been really upset all day," the resident said. Lucich said that at the time Leavitt was struck, a 9/11 ceremony was taking place at the fire department. "Because the 9/11 ceremony was going on, we were all on scene within seconds," Lucich said. 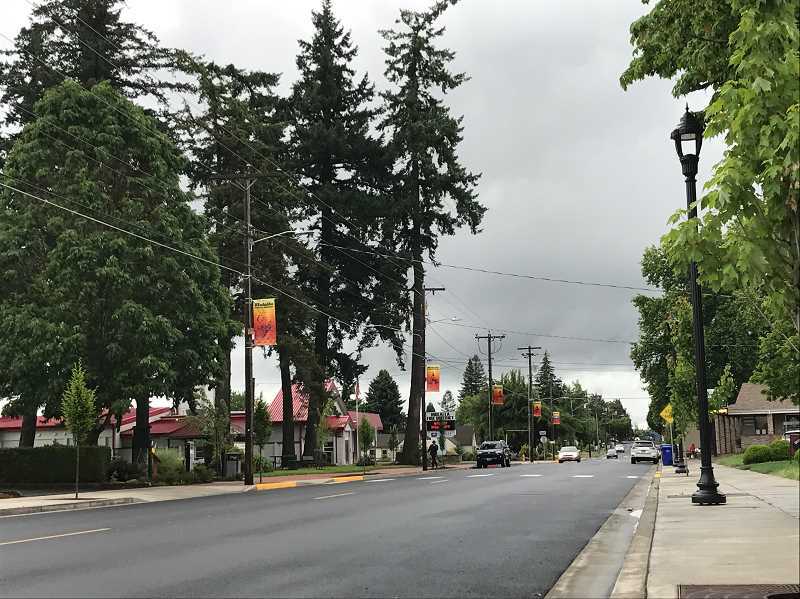 In a letter to City Council members, City Manager Dan Huff described the scene and the response of Molalla's emergency personnel. "Just as a performer began singing 'Where were you when the world stopped turning,' a voice from across Molalla Avenue yelled, 'Someone was just hit by a car and they are laying in the street.' The immediacy of the muster was something that you all should have witnessed. "Fire Fighters and our Detective sprinted up to Heintz and Molalla," Huff added. "Our Police Chief and Lieutenant ran to their vehicles. EMTs ran to their emergency vehicles and descended on scene. In literal moments our First Responders accomplished just that without exception – they responded." As such, Leavitt received the best medical care possible. She was transported from the scene by ambulance and was then transferred via Life Flight to Oregon Health & Science University. But her injuries were too severe. Despite all life-saving efforts, Leavitt did not survive. At the location of the incident, the speed limit is just 25 miles per hour, and speed does not seem to be a factor, Lucich said. "A pedestrian is no match for a vehicle," Lucich said. "You hit your head just right, and it can be life-changing, life-ending." The incident is still under investigation. Anyone with information should call Lt. Frank Schoenfeld at Molalla Police Department, 503-829-8817.